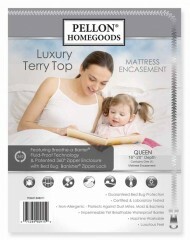 Pellon’s Luxury Terry Top Mattress Encasement is a zippered mattress cover with a luxurious terry top. 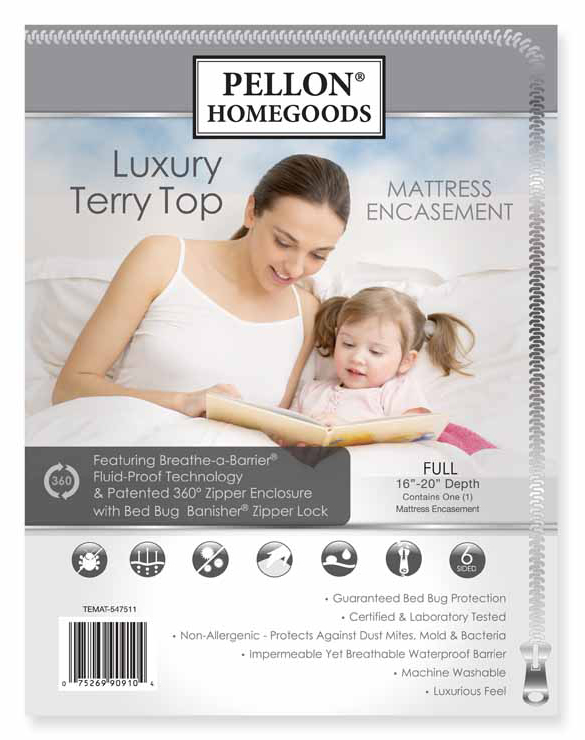 It features a patented 360˚ zipper enclosure with a Bed Bug Banisher® Zipper Lock as well as Breathe-a-Barrier® Fluid-Proof Technology which offers an impermeable yet breathable waterproof barrier. It is non-allergenic and protects against dust mites, mold and bacteria. This mattress encasement is designed to fit mattresses with an 16″ – 20″ depth.